The Great Gatsby is a novel that documents a cast of characters in a fictional town of West Egg, Long Island in 1922. It’s a thrilling story stated by Nick Carraway, Gatsby’s one-time neighbour, and tells everything sometime after 1922, around the same period when everything took place. The story revolves around Jay Gatsby, a mysterious young millionaire who rises from an impoverished neighbourhood in rural North Dakota. It also features a host of characters, most notably Daisy Buchanan, the protagonist’s erstwhile lover. The novel explores multiple themes including decadence, the American dream, money and materialism, love and relationships, society and class, social upheavals, and morality. The author, F. Scott Fitzgerald is inspired by the parties he had attended at Long Island's north shore. He tries to exhibit his pursuit of "something new, extraordinary and beautiful, yet intricately patterned,” and is a product of several revisions. A book review isn’t merely a synopsis of its contents, themes, and ideas. It specifically, intricately and successfully highlights everything about it so that the reader can subtly grasp its main content. It’s perhaps the reason professors assign students the task of reviewing books in college as part of their careful reading and analysis. Generally, the following are the steps to be followed. For a start, don’t forget to include what you deem perfect for your individual assessment. However, let the reader discern your honest views from the writer’s perhaps to quell out any instances of confusion. Essentially, there’s no written down a rule, albeit the universal guideline requires you to highlight and summarise all the major points with at least a third of your excerpt explaining the novel. Start with the introduction before swimming directly to the scope and finally ending with the type of book. Tip #1: The First Step Explain the book by the author. Specify the type of book you are reviewing. Mention the novel’s major theme Include its background so that any smart reader can easily understand the book’s context. Tip #2: The Overview For a work of fiction, please don’t give out so much information while reviewing the story lines. Let your reaction be clear and understandable. Describe the book with a reason that can easily be understood. For the author’s opinions, agree or disagree with them. Highlight all the issues the book tries to raise. Clearly, reviewing a book, a task that seemingly appears hard, is as easy as it gets when you know how it is done. Provided that you have read the book and identified one major theme, dissecting it per the author’s point of view will be a no-brainer. Before we can use the same knowledge to review The Great Gatsby by F. Scott Fitzgerald, why don’t you discover the best way of finding inspiration from a college book review? Don’t read the book just yet. Research about it so that you can get a clue about you will encounter and what the themes will be centred on. After getting a picture of how it will pan out, get the book and flip through it. Get to know about such aspects as the page numbers, chapters, etc. Now, start reading it while taking notes.Pay attention so that it gets interesting and later easier when reviewing it. This is where the insights will begin to get vivid. Remember, neglecting the "Attention" part, as a huge percentage does, will means zero inspirations. Sum up your notes as you edge closer to the end of your reading experience. Make sure that all the major points are captured. Perhaps, you now understand the category to put it in. With a little researching, doing so will be easy. Is it a fictional fantasy or science, an original copy or a revised one? Finally, counter-check your list of aims, sights, and inspirations. Some of the key figures in your list should be your audience. A good thesis statement is like a movie trailer. Just the same way a well-crafted movie trailer makes you want to buy and watch a particular movie, a thesis statement encourages the reader to sit down and read through your essay. The Great Gatsby Thesis Statement is no different. The novel that is based on history drama, published in 1925 is by itself a fertile breeding ground for topic statements, especially for literature scholars and researchers. It should not be clear and concise and not too bold. Should be based on evidence. It should make a debatable claim i.e. the author should form an opinion about the topic at hand. The thesis statement should pick a side, it should not be neutral. 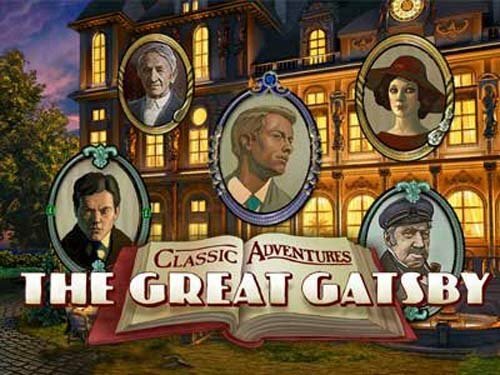 Given these 4 best practices of writing a thesis statement, it is now possible to suggest as few ideal angles that one can take when writing an essay based on the historical drama - The Great Gatsby. Thesis Idea 1: Is The Great Gatsby A Comedy or Tragedy? Although the first few chapters of the novel paint image of a tragedy, a deeper read through the following pages reveal quite a few comedy scenes. Taking into account the fact that one person’s tragedy may as well be another person’s comedy – you can capitalise on this situation to craft a thesis on this debatable issue. The novel is centred on money. Most of its characters’ lives are based on money. However, rarely does that money seem to buy them happiness. Even though some like Gatsby had all the money they needed, the still lived hopeless and meaningless lives. Marrying this aspect with the modern life where the need for money has take centre-stage, it is possible to create a powerful thesis statement. From time immemorial, human beings have never been perfect. The paperback “The Great Gatsby” by F. Scott Fitzgerald revolves around this very reality of human nature. Its characters’ ideals, beliefs and deeds are quite complicated. The main character Gatsby has a number of flaws, which are evidenced throughout the book. As such, the topic of character flaws and how it affects the over strength of the plot is a potential game-changer when researching or writing about this book. Development Symbolism is a central aspect of literal writing as it helps highlight the thematic thrust of the literal work. In the case of this book, the author has used many symbols – with the most significant one of them all being the eyes on the billboard. Each symbol, although it may seem to play a marginal role, actually possesses some deep and profound importance to the novel’s plot. One can, therefore, opt to build upon this idea to create a powerful the Great Gatsby thesis statement particularly bordering on topics such as metaphorical relevance, illusion and perception. In the course of the novel, we learn that although the nightlife of West Egg was all glitter and glamour; when darkness eventually engulfed the earth, Jay Gatsby was isolated living a lonely and unhappy life. The use of light and absence of it to represent mental states and emotions is quite prominent in this narrative. Delving deeper into these two variables, therefore, provides a suitable topic for writing an informed essay. 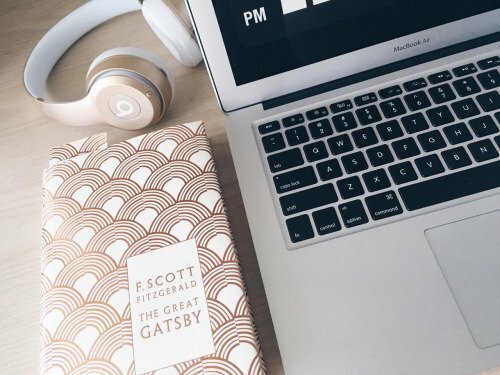 Finding the ideal the Great Gatsby thesis statement not only makes your writing easier but it helps you see the whole novel differently as well. What stands out however about this particular historical drama is that its relevance in modern day literal and non-literal works is beyond question. There is clearly no shortage of topics one can write about as far as this legendary piece of writing is concerned. Most eleventh grade American Literature classes read The Great Gatsby. F. Scott Fitzgerald was an acclaimed author who filled his essays with imagery and profoundly elucidating symbolism. 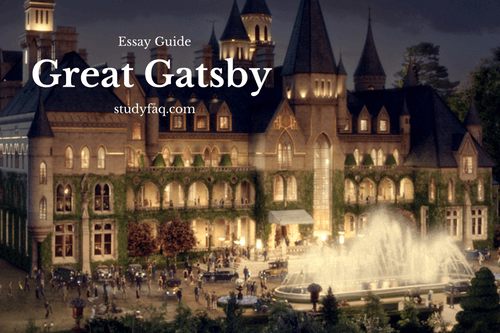 The chances are exceptionally great that you should compose an essay on The Great Gatsby. Realise that whatever theme you pick, it will presumably have some part of contrary energies or thwarts in it. Here are Great Gatsby Essay Questions that you can concentrate on. The idea of the American vision figures noticeably in this story. In what manner, ought to pursuers characterise "American dream"? Additionally, is seeking after the American dream something worth being thankful for, as confirmed by The Great Gatsby? Explore the character of Nick. How are pursuers expected to feel about him? In what ways, does he put on a show of being dependable or untrustworthy? Fitzgerald's story demonstrates the reasonable depictions between different strata of society: new cash, old cash, some cash, and no cash. How can pursuers translate his remarks on each of these gatherings? Does he hold anyone gathering over the others? Are there courses in which individuals of all gatherings are similar? All through the story, Gatsby experiences issues tolerating with the past that he is over and finished with. Where do you discover proof of his attempt to recover the past? What does this say in regards to him? Ought individuals to experience their lives longing for something in the past? Why or why not? A portion of Fitzgerald's quality as an author originates from his imagistic style. His composition is exceptionally and tangible arranged. What cases of tangible situated symbolism (locate, taste, touch, notice, sound) would you be able to discover in the novel? What sort of climate do these points of interest make? 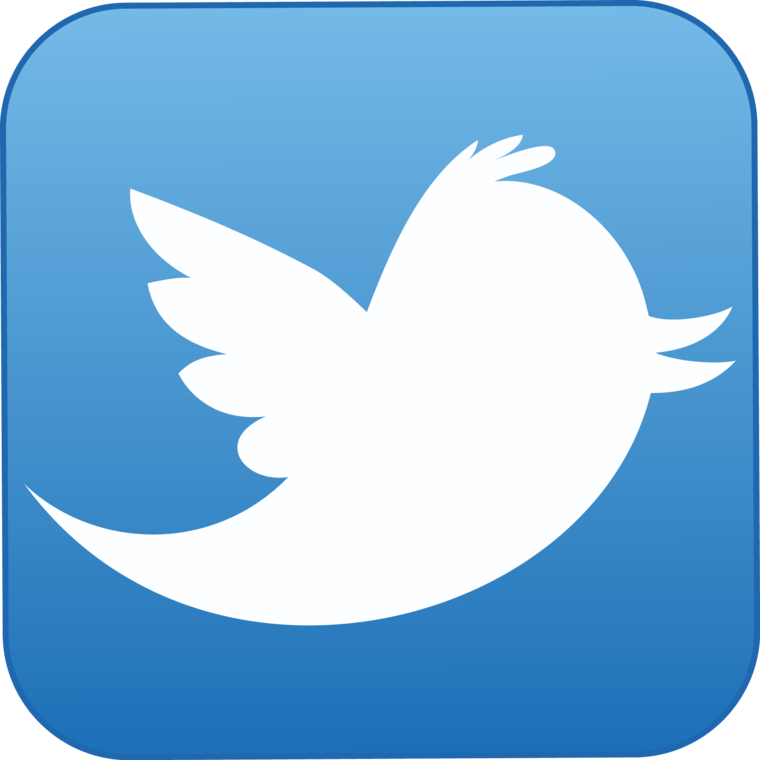 How would they influence you as a pursuer? It is normal to hear the expression "an independent man." In what conceivable ways may this term be clarified? How does Gatsby fit that definition? In what ways, does he take it too truly? In spite of the fact that Gatsby purported to love Daisy, there is a feeling that he was not in affection with her as much as he was enamoured with the possibility of her. Where would you be able to discover proof of Gatsby's dedication to a perfect as opposed to a real individual? 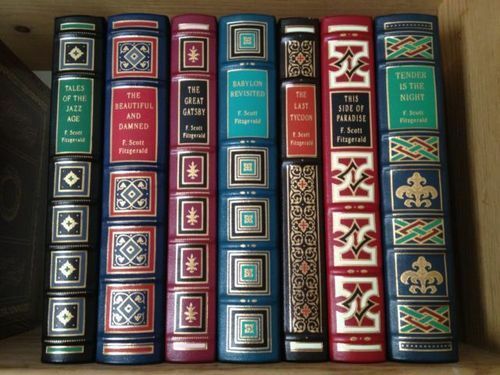 In what sense is The Great Gatsby a personal novel? Does Fitzgerald compose a greater amount of himself into the character of Nick or the character of Gatsby, or are the creator's qualities found in both characters? How does Gatsby speak to the American dream? What does the novel need to say in regards to the state of the American dream in the 1920s? In what ways do the subjects of dreams, riches, and time identify with each other in the novel's investigation of the possibility of America? Look into Gatsby and Tom. How are they alike? How are they different? Given the to a great degree negative light in which Tom is depicted all through the novel, why may Daisy stay with him as opposed to abandoning him for Gatsby? Trace the utilisation of the shading white in the novel. At the point when does it falsify a feeling of purity? At the point when does it symbolise genuine blamelessness? Do a nearby perusing of the portrayal of the "valley of slag." How does Fitzgerald utilise religious symbolism in this area of the novel? How does Fitzgerald compare the different locales of America? Does he compose all the more decidedly about the East or the Midwest? How does Fitzgerald treat New York City? What is permissible in the urban space that is forbidden on the Eggs? 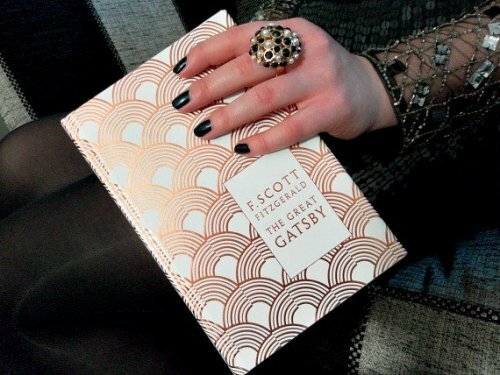 There is no denying that F.Scott Fitzgerald novel - The Great Gatsby - is nothing short of iconic and mind stimulating. It is that time of the semester, isn’t it? When you have to put the fun and the bliss of college life aside and work on your term essays. Preparing my class essay for The Great Gatsby a few years ago, I found that so much has been written about the novel, it was hard for me to think of new perspectives to talk about. The novel opens in 1922 when Nick has just relocated from Midwest to West Egg in search of his fortune as a bond salesperson. Shortly upon his arrival, he travels to the more opulent East Egg. If you enjoyed our article, please, share it with your friends!